lighthouse score rank for some pwa that I like ! Pwa ranking according to the lighthouse score. Lighthouse is the the tool present in google chrome to audit web apps. I like solitaire game so you will find many of them in the list below. POKI KLONDIKE SOLITAIRE Online - Play for Free at Poki.com! 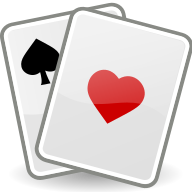 Solitaires Online XL - play Klondike online for free! Jeu Solitaire – jouez au Klondike en ligne gratuitement ! I did koolsol because I wanted a fast and simple solitaire card game with solutions for the players around the world with translations in 27 languages. I am disapointed by the rank Google gives to it because I applied all the requirements ( pwa, offline and online, fast ...) and it is far from being on the first page when one search for solitaire game. Why ? It is quite funny that Google doesn't like flash games but when you search some solitaire games in the search engine, many of them are flash game !